Santa at the Cotswold Farm Park. 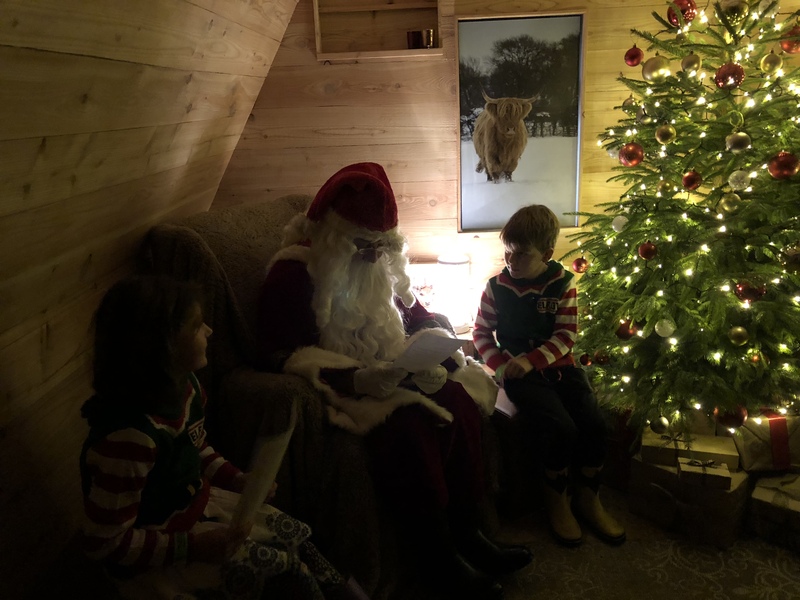 Santa has arrived at the Cotswold Farm Park and we were very lucky enough to be invited to go and see him, we were so excited! I mean the kids, the kids were very excited to go and see him! Oh who am I kidding, I was very very excited too. I love taking them to see Santa, I’m fully aware that there is a finite amount of time where they will truly believe and I want to make the most of that! We have seen Santa on trains, in village halls, at school fetes and at stately homes but this was the first time we had been to see him on a farm. 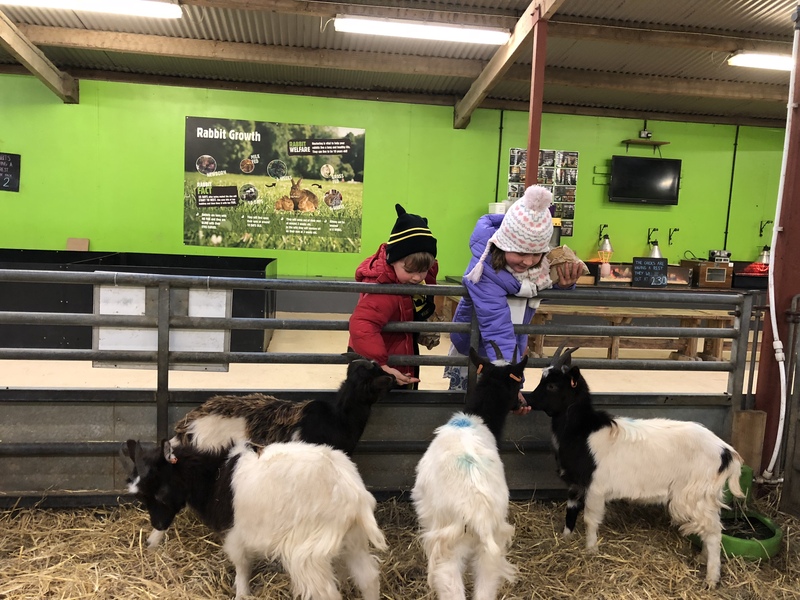 Already fans of Adam Henson’s famous Cotswold farm park, having spent many a day there since we moved to the area, we know it well and the children always enjoy it there with the bouncy pillows, maze, petting barn, animal feeding and tractor rides. It is so well thought out and caters so well for families and so I felt sure they would do Christmas well. 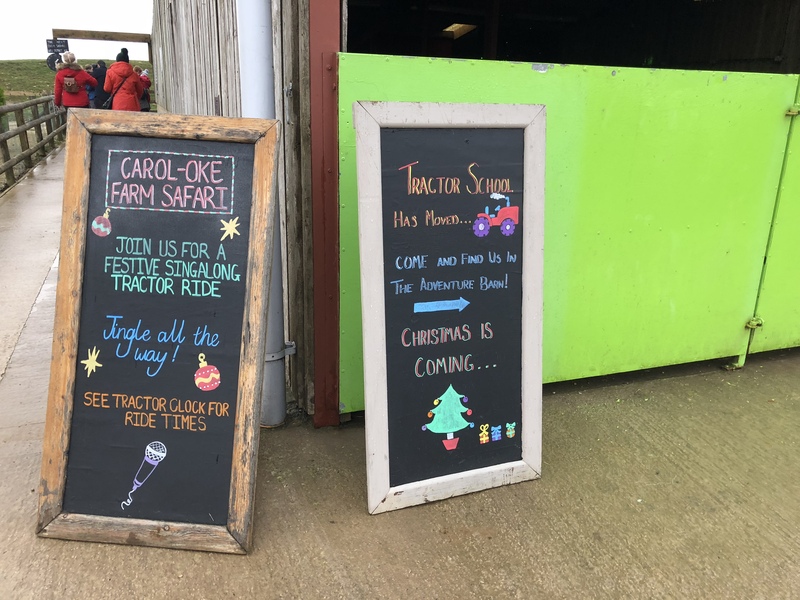 I was proved right thankfully, with lots of extra activities laid on without even including Santa, a live elf show several times a day, a nativity in the barn and the tractor ride had been turned into a carol-oke where you could sing your way around the farm. We also had lunch when we arrived and there was a beautiful Christmas tree in the restaurant and the shop was definitely ready for Christmas with a large selection of toys and gifts. 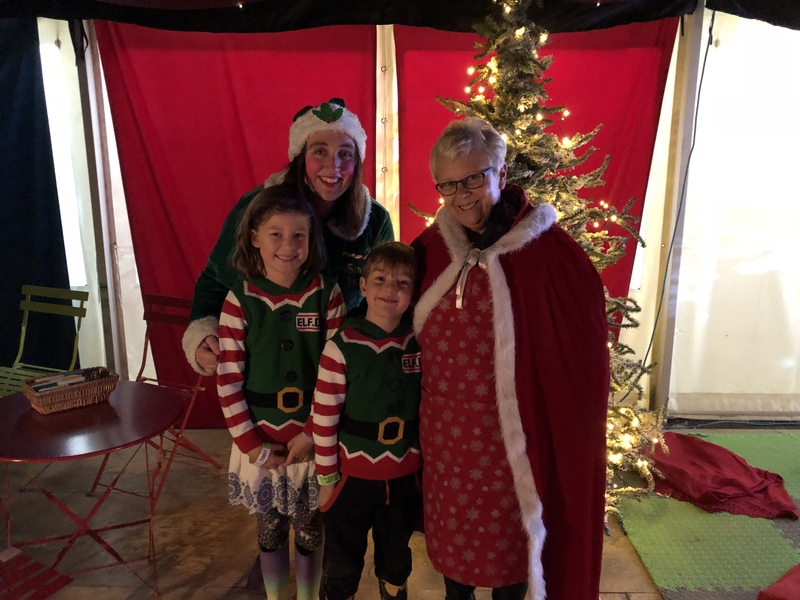 After the children did approximately four thousand laps driving the battery operated tractors while we sat and drank a coffee in the activity barn, it was our allotted time to see the big man and so we went into the grotto and were greeting warmly by Mrs Christmas and a very friendly elf. 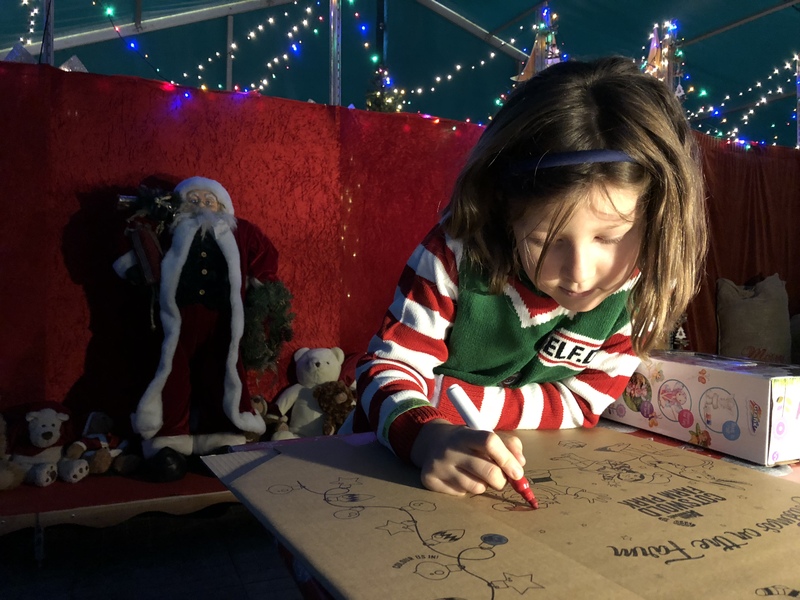 There was a festive film playing and so the children sat a watched a bit before moving on to the colouring pens that were laid out and sitting down to write their lists to Father Christmas. We never felt rushed or hurried and after a lovely chat and a photo, we said goodbye to Father Christmas and the children were handed a small wooden key each. Around the corner was a miniature wooden door to the toy workshop (and a grown up sized one next to it thank goodness!) 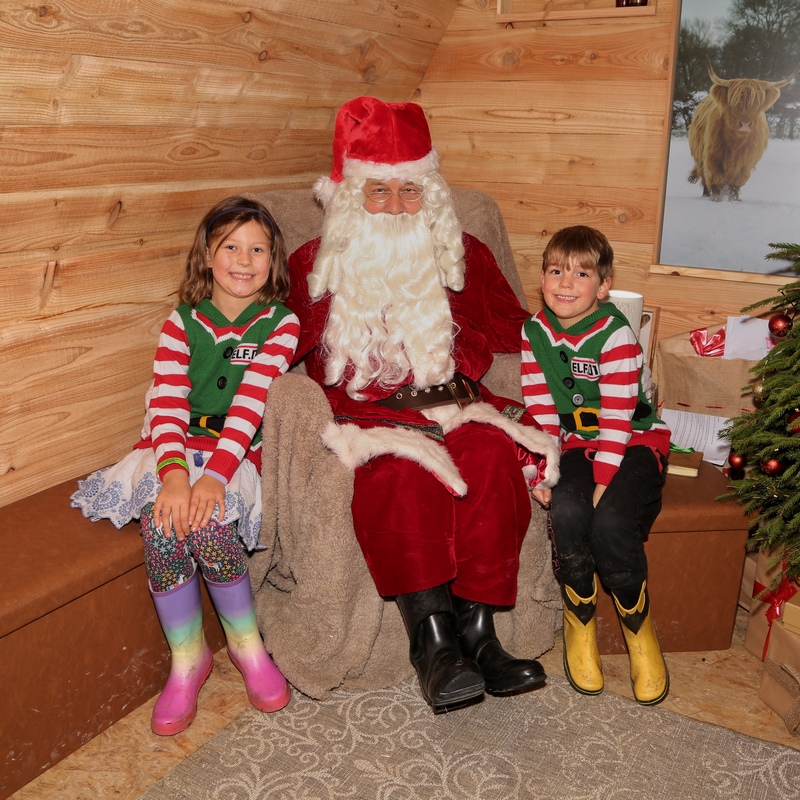 which each child used their key to open, letting them into the most incredible grotto, beautifully decorated and filled with lovely presents for them to choose from. Lots of creative maker ones, my two chose a Dino excavation dig and a paint your own garden fairy. Then it was on to the elves workshop to make some Christmas Eve boxes and some reindeer food and you could buy your photo for £8. The Santa experience is excellent value in my opinion, at £20 per child if you book online, which is only £7.50 more then the usual entry fee (just £7.50 extra for members) and you get a full day of activities at the farm, including all the festive extras and the Santa experience with present, Christmas Eve box and reindeer food as well. I thought they put an awful lot of effort in and it was very well done and a lovely day out for all the family. 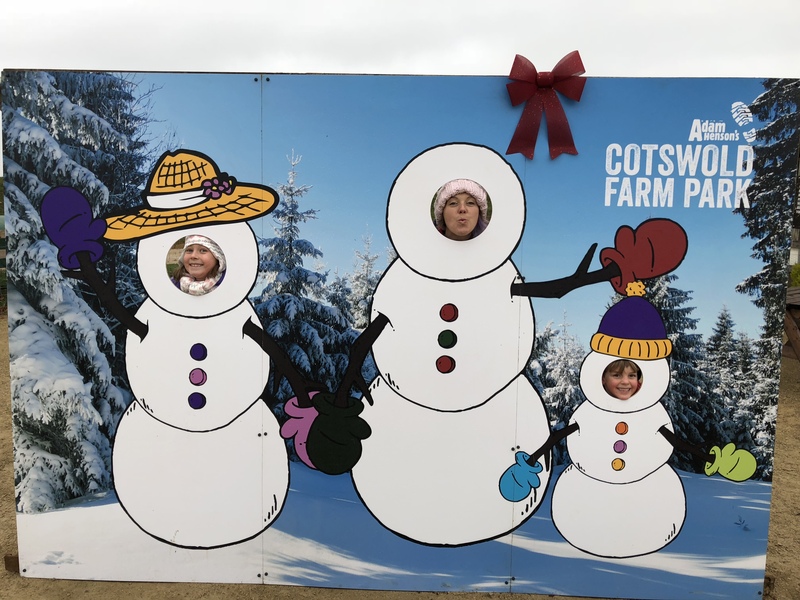 You can win yourself a family annual membership to the Cotswold farm park by clicking the link below to enter the giveaway and visit as many times as you’d like! – Membership is for 2 Adults/Seniors and 2 Children/Toddlers. – Membership is valid for 12 months, starting from the date the winner is announced. – All other standard terms and conditions of membership apply. Ahh, I love the Cotswold Farm Park! I didn’t know they did a Santa experience or an annual pass, I’ve entered your giveaway and might have to get there before Christmas!